First Drop of Crimson – Five for Five! 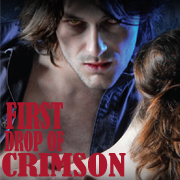 Michelle’s Book Blog has awarded First Drop of Crimson Five out of Five Stars!! Excerpt: Denise MacGregor lost her husband a little more than a year ago in a supernatural showdown at her friend Cat’s house. Now she has vowed to stay away from all things that go bump in the night. But that may be easier said than done. When Denise is confronted by a demon shapeshifter and forced into his service – she has no where to turn for help – except the very beings she is trying to avoid.